Berserker Beard Oil & Balm Combo 2oz - Mad Viking Beard Co.
[Ber-ser-ker]: Berserker, an ancient Norse warrior who fought in a frenzied rage without fear and often without armor. 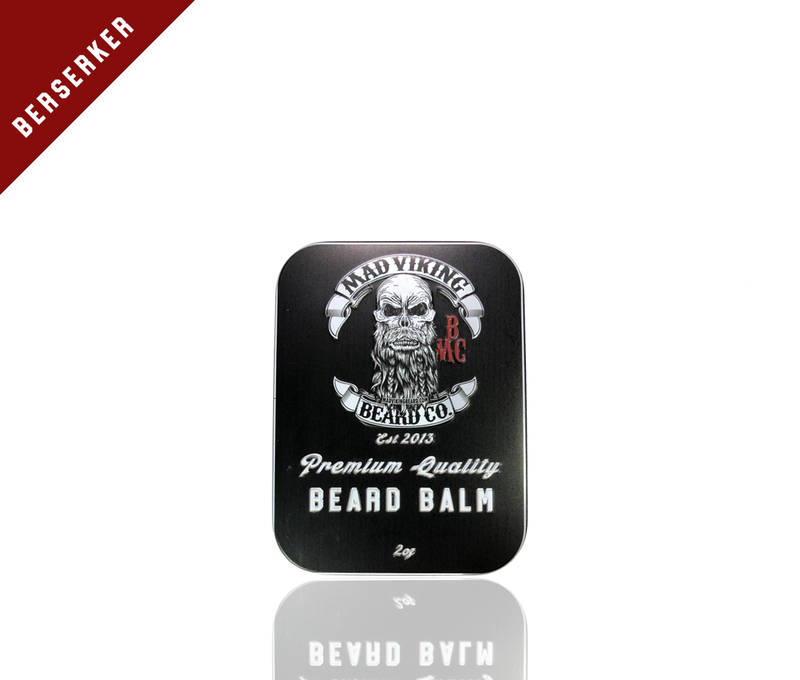 From the very first application our Berserker Beard scent will have you ready to conquer the world. Our proprietary blend of essential oils combine to make an unforgettable, pleasant aroma that lets everyone know you mean business. 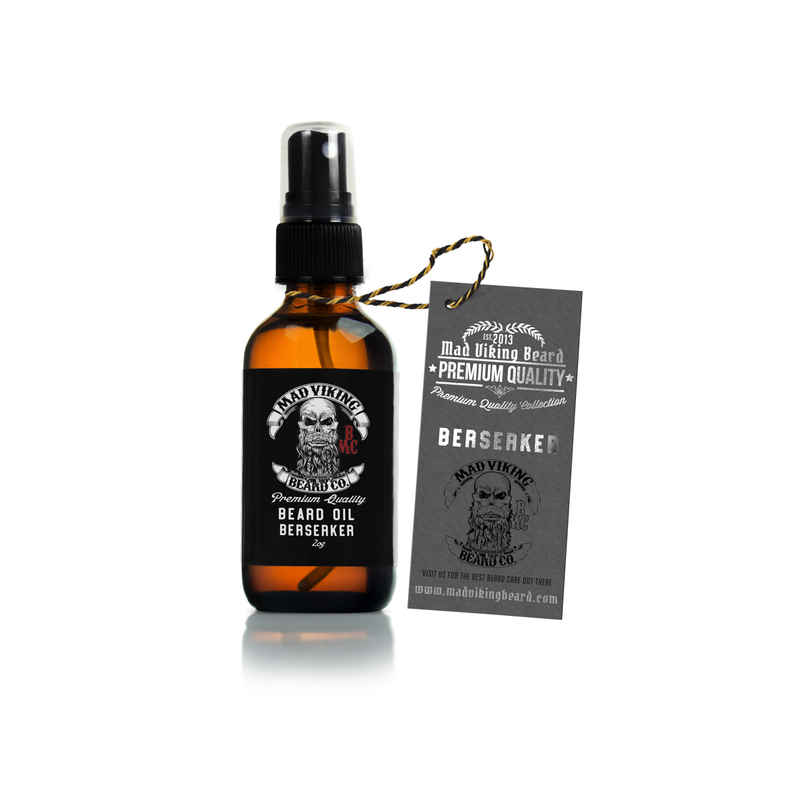 Berserker Beard oil and Balm applies with a refreshing medium note of Lemongrass which fades into the perfect combination of peppermint, sandalwood and slight notes of Patchouli. 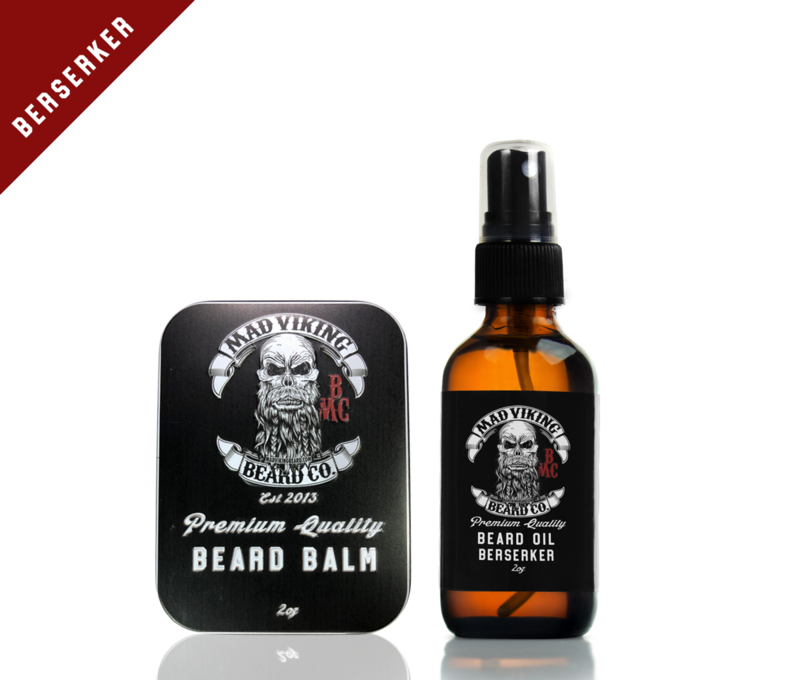 Berserker Beard Oil and Balm will have you ready for battle and get you noticed. Upgrade to a starter pack and get a beard wash with your order!